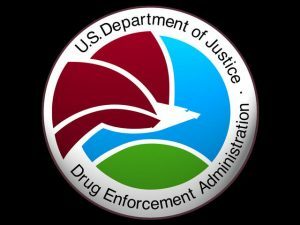 “The Drug Enforcement Administration has released its annual report on the threat posed to the U.S. by drug trafficking and the abuse of illicit drugs. The 2017 National Drug Threat Assessment (NDTA) has both good and bad news about the nation’s worsening overdose crisis. “The threat posed by controlled prescription drug (CPD) abuse is prevalent. Every year since 2001, CPDs, specifically opioid analgesics have been linked to the largest number of overdose deaths of any illicit drug class, outpacing those for cocaine and heroin combined,” the report declares. That sure makes it sound like opioid pain medication is killing more people than ever before, doesn’t it? A closer look at the numbers and methodology used by the DEA suggests otherwise. “Controlled prescription drugs” is a very broad category that includes not only opioid pain relievers, but anti-anxiety drugs (Valium, Xanax), stimulants (Adderall, Ritalin), and anabolic steroids. And there’s plenty of evidence people are dying from those drugs as well.